All of Filson’s footwear come with a pair of these but they can also be purchased alone for $17 from Filson to put in whatever shoe you own already. 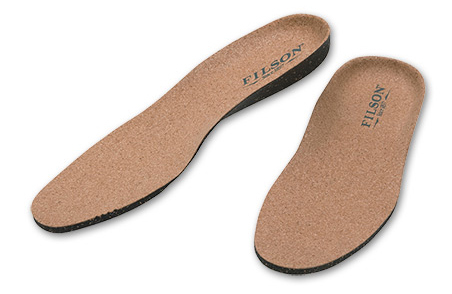 I usually go for a pair of Tacco leather insoles (super comfortable) in shoes that need a little extra cushioning but cork has an interesting feel that’s a bit softer. 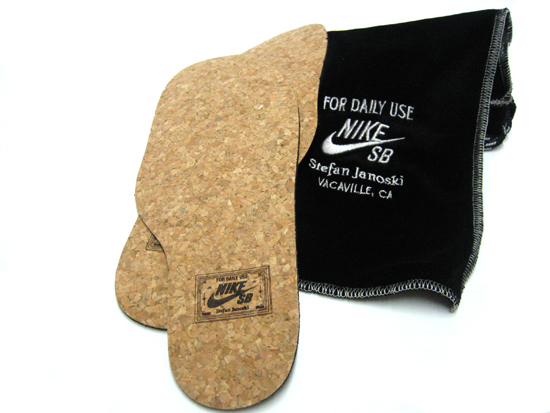 Nike Skateboarding has their own version that came with the brown and black suede Stefan Janowski models that came out last fall, packaged in a pretty luxurious faux-velvet bag. Still not enough cork for you? Pimp your tumblr.